When you visit us you’ll meet a team of friendly, professional people who understand what it takes to provide a great service. For Sarah, one of the most pleasing aspects of her job is seeing how the result of improved vision enables her patients to achieve more in everyday life. As an Irlen Diagnostician she is qualified to diagnose and treat Irlen Syndrome. 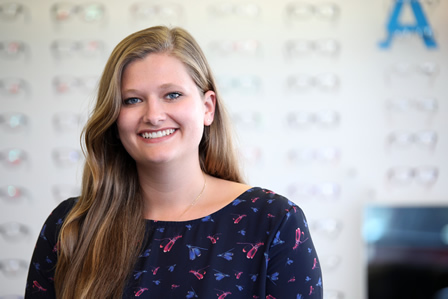 In addition, Sarah is a qualified Dispensing Optician with a skill for selecting frames and lenses for her patients’ specific needs. An Albany resident, wife and mother, she has been helping her community see better since 2002. Many of Ming’s patients have been with her since she first started at the Practice in 2007. 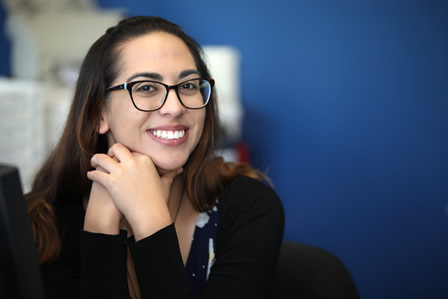 She is co-owner of Albany Optometrists and is responsible for eye-testing, diagnosing eye-health issues and also helping children to improve their visual processing ability. Ming graduated with a Bachelor of Optometry with Honours from Auckland University, and is also qualified in therapeutics. 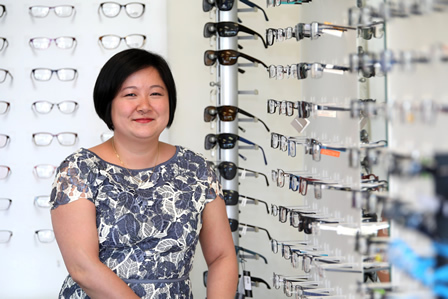 A long-time local, Ming enjoys helping the different people she meets every day to enjoy enhanced eye health. 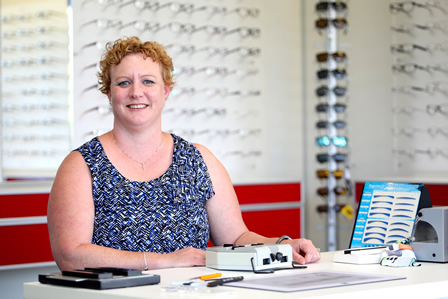 Bianca has been part of the team at Albany Optometrists since 2014. She graduated from The University of Auckland with a Bachelor of Optometry with First Class Honours and was a recipient of a Senior Scholar Award and the Dean’s Medal. Bianca is therapeutically qualified and has a particular interest in contact lenses and binocular vision. Outside of the practice Bianca is a keen musician, having been a member of the New Zealand Youth Choir for many years. 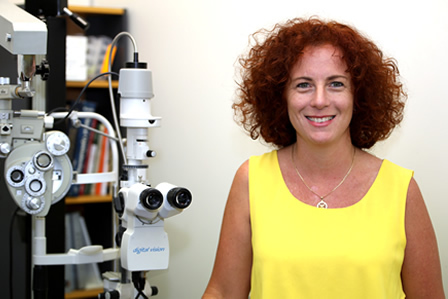 Tracy is a therapeutically qualified optometrist with a specialist focus on behavioural optometry. She originally attained qualifications in South Africa in 1994, and later undertook studies in Australia and New Zealand to earn her practising right and therapeutics qualifications. Since then she has enjoyed helping to improve the quality of people’s life, education and lifestyle through better vision. She is also able to fit specialty contact lenses including orthokeratology (ortho-K). When Stuart joined his practice with Albany Optometrists in 2015, he brought with him more than twenty years optometry experience. 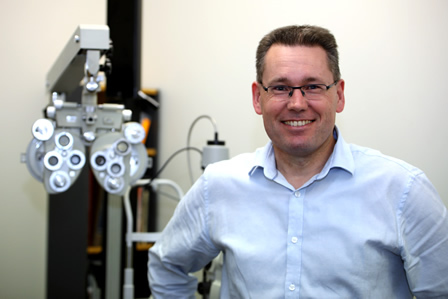 He attained a Bachelor of Optometry from Auckland University and has also completed a Master of Science Degree in Optometry. Stuart has a special interest in children’s vision, especially children with learning difficulties, and enjoys finding solutions for his patients’ eye concerns. Stuart is also currently developing a number of tests to address vision problems that can affect learning outcomes for children. Jenna first joined the practice in 2015 as an optical assistant and has now completed her course as a qualified and registered Dispensing Optician. Jenna completed the Dispensing Opticians course at Distinction Level. As a Dispensing Optician Jenna is qualified to dispense lenses and frames from the optometrists prescription. Jenna enjoys the process of helping people choose their perfect eyewear and seeing people’s confidence grow as they enjoy better vision. If you need your glasses fitted or adjusted Jenna is an expert in frame fitting, she is also able to do frame repairs and maintenance. Jenna works with our behavioural optometrists conducting pre-testing with the iCept programme. If you have any questions or need advice, Jenna is ready to help you.